I’d like to share a bulimia recovery tip, but I think this advice applies to all women – whether you have bulimia, anorexia or no eating disorder at all. This is what I refer to as my “prescription for extreme self care” and is designed to help you feel whole again and bring fulfillment into your daily life. I suggest it to all of us busy women trying to keep it all going while we run ourselves into the ground. I find myself prescribing extreme self care more and more often when I’m coaching women who are overcoming bulimia. What I find in my coaching (and in my own life really) is that life today has become so much more fast-paced, intense, competitive, hyper-internet speed that we’re striving to to keep up with our lives and we’re not keeping up with our Self. We’re not keeping connected with our Source. Imagine for a moment how bright a lamp would be if it wasn’t connected to its energy Source. It, too, would have no light to give. We tend to give and give and give and that inner light, that inner spark gets dim. And our bodies go to hell (except for those of you who are maybe over-doing it with exercise – this message is for you, too, sister). I was talking with a dear friend who is going through a tough spot this week due to an abscess in her tooth and I think had a root canal and a few other things done in her mouth. She was in some serious pain leading up to her surgery for like 3-4 days. When I was talking to her it was the day after her surgery and she was supposed to be moving, but was wiped out on the couch. She told me she felt guilty because her boyfriend had to do all the moving. She was quite doped up from the Vicodin and told me she couldn’t get up because of the meds. This is a perfect example of when you need to take a prescription for extreme self care. If you’re in no position to be moving and your body is screaming at you to rest and recover (for goodness sake you just had major oral surgery!) go ahead and let your boyfriend move you. If you need to sleep, go sleep. If you need to drink fruit juice through a straw, ask him to give you some fruit juice. What is Extreme Self Care? Hydrate and wholesome food – drink your eight glasses of water and eat food that nourishes your body, mind and spirit. I won’t go into this in depth because that’s like a whole book in itself. Just listen to what your body needs and if you don’t know how to do that…contact me for coaching or start looking into intuitive eating or mindful eating. Rest – this list of extreme self care is starting to look like a list for someone who’s recovering from surgery or a disease. Oh, right this is a bulimia recovery tip. Like I said, it applies to all women, but if you’re suffering from bulimia I can bet you’ve got yourself stretched too thin and rest is not a priority. Make it one today. The feel good chemicals in your brain, your body’s natural recovery systems, rebuilding cells and re-energizing happen while we sleep. If you’re not getting a good night or enough sleep, cut it out! You may even need to introduce naps or short walk/oxygen breaks in your day to give your body and mind a break at work. Personal Check In – what do I want to do? When was the last time you even asked yourself the question “what do I most want to do today – or now?” and then did just that. Not what you had previously committed to. Not what you think sounds fun to others. Not what everyone else is doing. What is it your heart and spirit are longing to be or do (or stop doing)? Time to BE, not DO – that’s not a line from Hamlet. It’s a message to your subconscious to help you remember to spend time be-ing happy, being at ease, being playful, being calm or whatever else turns you on and lights you up from inside. Maybe it’s slowing down so that you can hear your heart beat. That’s not do-ing. It’s being. I spent the day today in my yard be-ing in my garden. I didn’t garden…I just was in my garden be-ing with it. Being happy. Being able to slow the hell down so I can connect with who I am and what I feel. What matters most in the moment. Feel the love – I was going to call this just “feel”, but I want you to step it up beyond just feeling. Yes, it’s important with all of this slowing down and self caring that you feel what you’re feeling. Yet, extreme self care is part self love. Feeling love in your heart helps you heal yourself at so many levels. I believe we’re here to love – our essence IS love. When we’re loving or appreciating, we’re connected to our Source, or Higher Self. Feeling the love means being at a place where you’re not rushing around through your day so quickly that you can’t even feel, let alone feel love and appreciation. If loving yourself is too much of a stretch, find something to love. A flower. A painting. A sunset. A song. Find at least one thing you can focus on and focus on it until you’re moved to tears. That’s when you know you’ve letting the love flow. That flow is the most healing and healthy thing words could ever describe. When to Prescribe Yourself Extreme Self Care? I think extreme self care is something we can practice until we get our lives back in balance. If you’re overcoming bulimia, I’d suggest you give this a go until you have had six months of no binging and purging. After that, then you use extreme self care as a practice, as needed. Why is it Considered Extreme? That’s a good question. When I first started talking about self care I thought about it as ME Time. That’s the term I used a few years ago anyway. But what I’ve seen is that people’ lives are just so much more complicated and our priorities feel a bit whacky so we can’t even tell what normal care looks like. The extreme part came in because it feels soooo radically different from the life you’re living right now. It feels extreme to put down your phone, turn off your computer, stop doing things and just be or rest for a few hours. Trust me, it feels extreme to me, too, because I’ve got a full and busy life. I know what it’s like to have too many to-do’s at the end of a day. The list will be there tomorrow. The plans or friends or phone calls can happen in the future. You don’t have to do it all now. I can’t say that I’ve practiced extreme self care for very long myself. I’m getting the hang of it quickly though! It feels so unbelievably powerful and rejuvenating I will definitely maintain it. The things it seems I’ve given up like going out with this person or doing that thing or completing this or checking that off my list can not replace the feeling I have now inside. So, do you think you want to give this a try? Geez, how could you not? Well, I guess if you don’t know what it’s going to be like or you’re afraid you’ll miss out on something or not get those 33 things on your list done this weekend. Guess what – you still will. The biggest hidden benefit of extreme self care is that you suddenly prioritize your life differently and the most important things still get done. You stop doing what’s not so important and the time spent caring for yourself in a loving, generous, deeply nourishing way are so unbelievably fulfilling you won’t miss all that nonsense stuff you didn’t do. I think when we’re taking extreme care of ourselves we’re that much more able and available to the people in our lives. We’re not depleted or half full trying to run around filling other people’s wells. Ours is so incredibly full it naturally overflows to flow into the lives of the people around us. And they’ll notice. You bet they will. 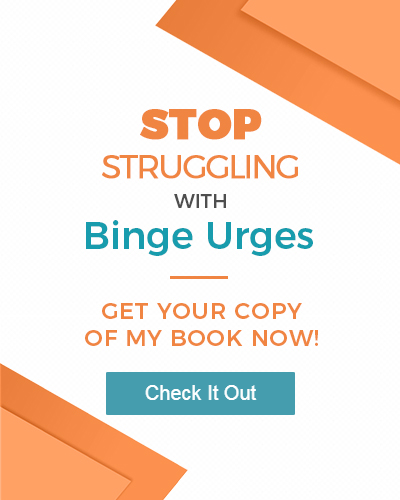 I hope this has given you some idea about how to practice extreme self care in your bulimia recovery – or just in your every day life if you don’t have bulimia. What did you learn and what can you take into your life? What will you try on for yourself today or this weekend that you aren’t doing already? Share your comments below. Thanks! previous post: Best Eating Disorder Blogs of 2013 – Thank You!